Wismec is one of the top vape companies, since they make everything from starter kits to high-wattage devices. 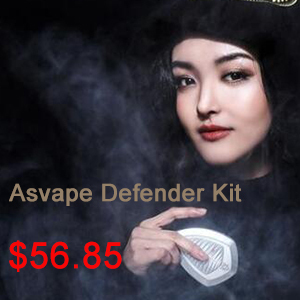 They fall somewhere between the genius of Vaporesso and SMOK’s profligacy with devices that are both excellent performers and pay particular attention to users comfort and design requirements. 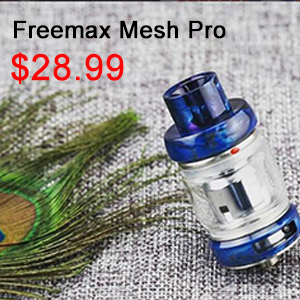 The P80 is a slimmed-down version of the Wismec Predator mod that took two removable 18650 batteries and had a maximum power output of 228W. The P80 looks basically like a Predator sucking in its gut to fit into a pair of pants that are way too small. The layout and design are the same with a few, notable differences. There’s no front-facing OLED screen on the P80, which has been moved to the side that is also the firing panel – it’s rare to see a display and a firing panel melded together, but that’s precisely what the P80 has done. And that’s why I made mention of the P80 being a “pen-style” box mod since its shape does recall a pen-style device. The P80 has a 510 connector at the top, and since there is no extra girth or thickness of the device, it can comfortably fit a 25mm-in-diameter tank but no wider. I would say that excluding the adjustable settings, vaping outputs and the requirement of attaching the tank, there’s not much else that separates the P80 from vape pens. 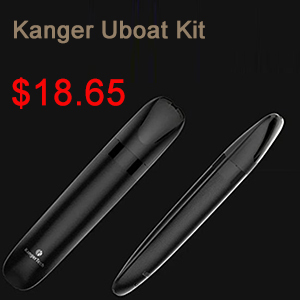 And since the P80 vapes at a maximum of only 80W it also matches many other vape pens in performance, as well. The Wismec Sinuous P80, as I’ve already mentioned, borrows a lot from it’s older and bigger brother, the Predator 228W mod. The P80 takes only one 18650 battery, loaded from the bottom with a hinged battery door so it’s extra portable regarding its weight. The P80 measures only 120mm (with Elabo tank attached) in height and a very slim 28mm in thickness. There are two black side panels, one of them integrates a 0.96inch OLED screen into the firing panel along with the two selector buttons and a side USB charging port. The rest of the device has a smooth, plastic finish that feels great in the hand, and the device itself is quite easy to hold and grip. There are two LED lights that can change colors depressed into the middle of the device, between the two side panels. It’s strange that Wismec decided to load up only one side of the device with all of its operating features and leave the other panel empty. But, moving on, the top of the device features a 510 connector pin that is a bit recessed, so when you attach a tank, it’ll sit flush with the top of the mod. Using the Wismec Sinuous P80 is a lot like using any other Wismec device. Although the OLED screen is rather small and colorless, it was well-organized and displayed its variables in a large, art-deco-like font. 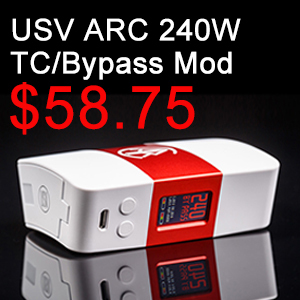 When you’ve turned on the P80 with five clicks of the firing panel, the top-down display will show you your vaping mode, power levels, with your voltage, amperage and coil resistance all underneath those primary levels. Regarding vaping outputs, the board on the P80 offers the basics that come with most of Wismec devices, like variable wattage, temperature control, TCR, and bypass mode. To access the various options, you just need to click the firing panel three times and use the right selector button to scroll through all the possibilities. Pressing the firing panel locks your choice. The firing panel is most responsive at the very top, which is excellent since you are not always pressing down on the screen and leaving your thumb or fingerprints on it. The other two selector buttons also feel great and respond immediately. I haven’t used the Elabo before but I have used the WS family of coils with the Wismec CB-60. The CB-60 kit was more a mouth-to-lung box mod and the accompanying WS03 coils performed best at lower-wattages. The flavor coming off of those coils was exceptional and the WS coils have become a dependable and reliable option for all types of tanks. The P80 comes with two WS01 coils that both have a resistance of 0.2ohms, although it would’ve been nice to have a second, mouth-to-lung coil option rather than two sub-ohm coils. The coil build on the WS01 is quite well-done, with a genuine triple build coil clearly visible on the inside of the coil. The Elabo tank features bottom airflow and a top-fill system; only you do have to remove the drip tip to completely open the top cap, which is a great safety feature included in the tank. And since the P80 is a low-wattage device the Elabo tank has a 2ml capacity with no added extender tube. I vaped at a restrained 50W at first, and the coils worked phenomenally well paired with the Elabo tank. I threw open the airflow vents to their maximum and felt the vapor size and quality increase significantly. I then started pushing the voltage closer to 70W. There was a noticeable heat transfer, as the mod did get a bit warm when it neared its 80W maximum. I also noticed that the single 18650 battery did deplete rather quickly. I wasn’t expecting such a low battery life with a low-wattage device, but there it was. I’ve already used the VaporFi V-Grip 75W to make comparisons with other two-digit wattage devices, and I thought it would be the best option to test out the P80’s performance and functionality. 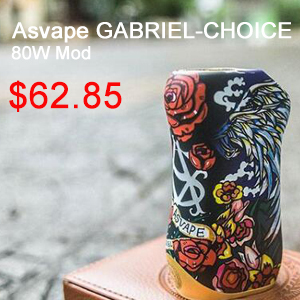 The V-Grip featured many of the same vaping outputs that the Wismec P80 features on its chipset like variable wattage, temperature control, and a bypass mode, and it also took a single 18650 battery. Visually, the V-Grip had a much more streamlined, minimalist appearance and wisely made use of its slightly larger 1.3inch screen to neatly display its information. And looking through the specs sheet of both devices, I found more similarities than differences. The vaping outputs were the same, although there was a little more customization available on the V-Grip’s chipset due to its advanced temperature control settings. I think I’ll have to be at my most superficial and pick the V-Grip as the winner of this contest. I liked the pared-down look of the V-Grip, and that was the only thing I could see that differentiated the two devices since they both performed exceptionally well. It could’ve gone either way, but I instinctively sided with the V-Grip more for its looks and attractiveness than for anything else. Wismec knows how to build a great-performing device. The P80 is proof of that. The user interface worked very well; there was no misfiring even with the screen/firing button mash-up, and the vapor quality was superb. I liked the WS01 coils. They were probably not the best option for a low-wattage device, although they did work great and gave off superb clouds. Wismec could’ve made their lives easier by separating the screen and the firing panel, but they instead opted to meld the two functions together and by and large, they executed it well. The screen looks great, and the panel is most responsive on the parts outside of the screen. It looks like the dominance of single-18650 devices is waning. Despite the fact that the P80 is a low-wattage device that did not stop it from significantly draining the battery faster than expected. Again, a low-wattage device like the P80 should not have overheating problems. But probably because there is not much but a plastic coating between your hands and the battery, I did notice a significant warm-up on the P80. 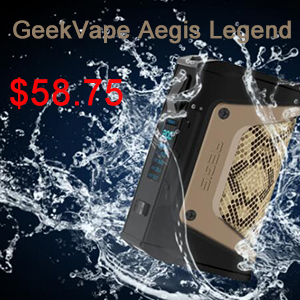 Even though the Wismec Sinuous P80 was supposed to be a mini-version of the Predator, it’s small size, and single-cell power supply did not mean that the mod still did not act like a high-wattage device. The mod and its chipset took more out of the battery than I expected. I was neither convinced by the P80’s supposed portability. It still felt a little heavy and wide to be an on-the-go option. The coils and Elabo tank were great additions to this kit, although I think the Elabo tank would have performed better with a more powerful device. It looks like the 18650 is on the way out, especially since vape companies seem dead-set on pushing wattage levels through the roof. Maybe the Sinuous P80 is one of the last single-cell devices we’ll be seeing for a while.